Severe weather will test any commercial roof system. The roof system is the building’s first line of defense from natural hazards. Depending on location, the building may face extreme weather conditions such as snowstorms, hurricanes, hailstorms, torrential rains, and extreme temperatures. A properly maintained roof will aid in protecting a commercial building. Routine maintenance along with implementing the proper precautions decreases the risk of damage and the cost of repairs. For facility management teams, maintaining the roof is essential. A roof is more than a component of a building; it’s an investment and a commitment. There is not much that can compromise the integrity of a building faster than the improper installation of a roof system. Therefore, the first item on the list for the facility manager is vetting potential commercial roofing contractors. It is imperative that the commercial roofing contractor follows best business practices including being legally licensed, bonded and insured; receiving positive client testimonials; and demonstrating a proven track record. Facility managers should conduct their own research about the optimal roof systems for their buildings. However, a roofing contractor will be able to follow up with extensive knowledge on the type of roof system that is best for the building’s location and its intended use. Additionally, the facility manager should hire a commercial roofing contractor that has extensive experience with all types of roof systems from TPO to BUR-modified. 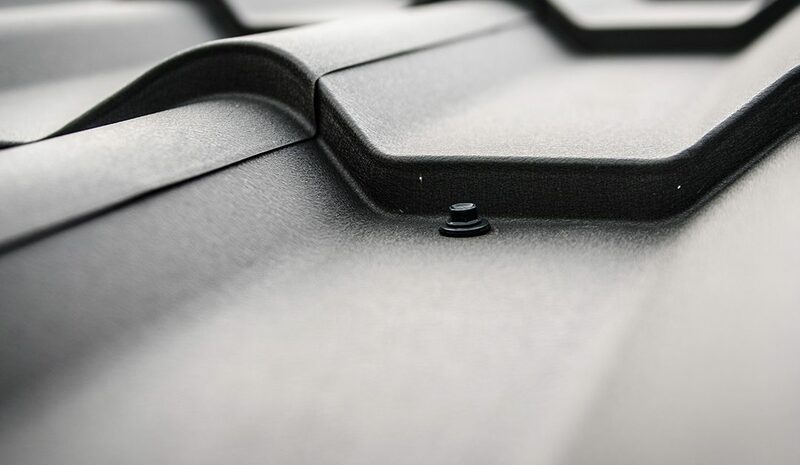 If a roof system is installed that the roofing contractor isn’t familiar with they run the risk of improper installation, lack of maintenance knowledge, or having to subcontract to a third-party roofer, which may cost more. While it’s not possible to predict and react fully in a timely fashion to strong winds and storms, a documented and practiced contingency plan can help facility management prepare for the unexpected. Whether facing high winds, winter storms, or whatever the elements may bring, it is important to have a plan in place and make sure the building’s roof is prepared for extreme weather. Preparation revolves around personnel and procedures. The first step is to assess the condition of the building and the roof. This should be performed by the facility manager or by a commercial roofing contractor. Be sure to do walkthroughs and look for obvious signs of defect, and make sure things are taken care of accordingly. Check exterior walls for leaks, stains, and cracks in brick and missing mortar. Check the roof deck for any signs of deterioration, thin sections of the roof membrane, and deteriorated caulking. Check for penetrations on the roof. Check flashings and joints for deterioration. Check for tears and holes in the roof membrane, and repair immediately. It is important to pay special attention to penetrations, flashings, and joints. Additionally, drains and screens need be clear of debris and functional as they are susceptible to the threat of moisture infiltration. Facility staff must have a comprehensive understanding of the building envelope. And, communication between the facility manager and the roofing contractor is key to successful preparation for severe weather. Also, make sure to identify exactly what the manufacturer warranty covers. Damage from extreme weather usually isn’t included. Therefore, facility managers should make sure the building is covered as expected by their insurance provider. High wind warranties can be included in the specifications for an additional cost. This is suggested if the building in located in a high-risk area. There’s no question that severe weather is bound to have an impact on commercial buildings no matter the location. The Midwest is accustomed to tornadoes and heavy snowfall whereas the East Coast is routinely hit with strong winds and heavy rainfall from hurricanes. Not matter the type of weather, many facets of the roof system can be affected including its thermal performance, fire resistance, load and equipment carrying capacity, the ability to drain and store water, and aesthetics. Post-weather maintenance is vital to limit the impact of the damage. The quicker the response time of inspections and repair, the better. Overall, an expert should assess the damage and determine if the roof is repairable or if it requires replacement. Evaluation should begin by looking for signs of water infiltration and if the insulation or roof membrane needs to be replaced. In the meantime, the roofing contractor can apply a temporary repair for a leak until a full repair is possible. Temporarily stopping the leak or holes will keep moisture out of the building, minimizing the damage to the interior from water stains, condensation, and mold. Severe weather can be the greatest test of any commercial roof system. The roof is a vulnerable part of every commercial building. Facility managers should instill best practices for roof maintenance and inspections to resist damage to roofs from severe weather events. Proactive roof maintenance and annual roof inspections are key to ensure maximum roof service life. Are you in the market for a reliable commercial roof repair company? Then contact Toledo Roof Repair today!